Janata Kala-Vanijya Mahavidyalaya, Malkapur Dist- Buldana is being run by Lok Seva Shikshan Bahuuddeshiya Mandal Malkapur was established in 1962. The renowned and Padmshri awarded by Government of India a famous Marathi critic and author, Ex-Vice-Chancellor of Nagpur University Dr.V.B. 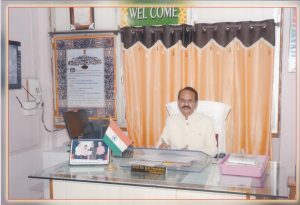 alias Bahusaheb Kolte was the founder of the college and the Lok Seva Shikshan Bahuuddeshiya Mandal Malkapur. 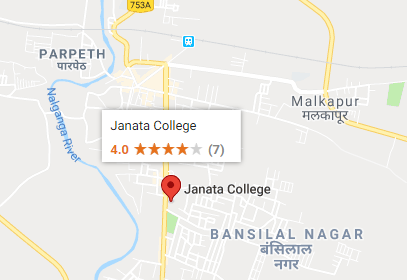 Janata Kala-Vanijya Mahavidyalaya, Malkapur established in 1962 with faculty of Arts and Commerce. In the year 1994-95 & 2015-16 Post Graduate in Commerce and Marathi started respectively. The college has been recognized for the Research Center for Ph.D. degree in the subject of Political Science, Commerce, Accounts and Statistics. Our college is re-accredited with B+ grade by NAAC, Bangalore in 2016 with C.G.P.A. of 2.53. The college has beautiful green campus of 8 Acres situated on Buldana road. There is Women Hostel, Swimming Pool and Indoor Stadium facilities in the college. Since its establishment, the college has been doing the great work of imparting education to all strata of the society. It is the aim of the college to impart education to all the people of the society. To fulfill the aim, the college has been doing all sorts of task.